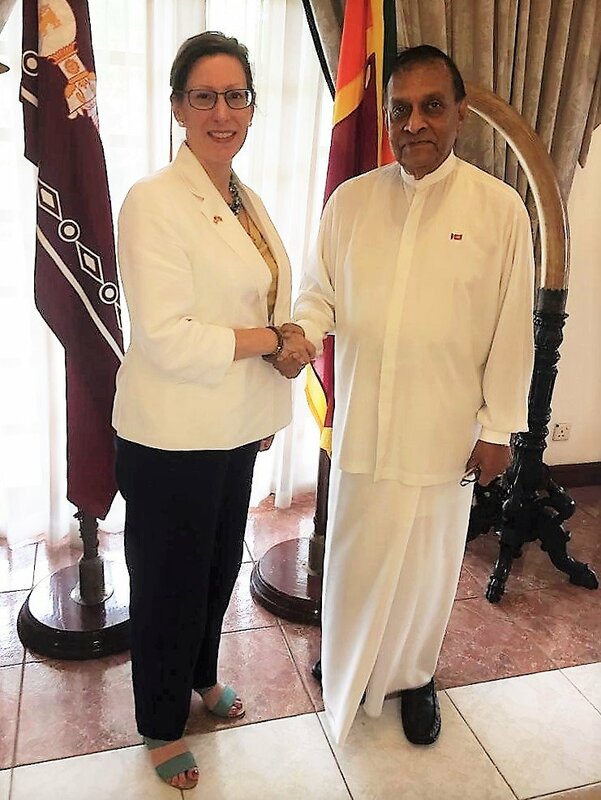 The new United States ambassador, Alaina Teplitz met with Sri Lanka's Speaker today amid the country's ongoing political crisis, to discuss the importance of reconvening parliament. Sri Lanka's parliament was prorogued last month by President Sirisena, after he sacked the prime minister and appointed the former president, who oversaw the killing of tens of thousands of Tamils, Mahinda Rajapaksa as the new premier. "Met Speaker of Parliament Hon. Karu Jayasuriya @KaruOnline to discuss the importance of Parliament reconvening to put an end to this political crisis. These democratic institutions should serve the people of #SriLanka; let the elected representatives have their say," Teplitz tweeted today. The US State Department had responded to Sirisena's appointment stating that parliament "must decide on prime minister". Sirisena vowed yesterday to drive through his change of government, telling supporters he would not be discouraged by resistance in Parliament, civil society and the international community to his actions. The senior US policy figure and former US ambassador to the UN, Samantha Power last week urged the US to consider suspending aid and imposing targeted sanctions on Sri Lanka.